As a food scientist and avid golfer I have always taken great care to ensure that I am properly hydrated. Like many, I was making my own hydration potion and bringing it to the course, particularly during the hot humid days of summer. It was a lot of work, but a better alternative to drinking over sweetened sports drinks or water, which didn't provide the necessary electrolyte replacement needed. I set out to develop a unique and convenient solution that would ensure optimum hydration, be healthy, all natural, and taste great. The result was PAR WATER. PAR WATER is a proprietary powder in a unique delivery system that contains the optimum ratio of electrolytes and slow release carbohydrates. It has only 10 calories as compared to other sports drinks with 180 calories and 30 grams of sugar. The proprietary powder is housed in a small cap which fits over almost all water bottles, and can also be dispensed into reusable bottles. Snap the cap on bottle mouth, Press top of cap, and Shake. You now have a healthy isotonic drink that will hydrate and restore your energy before, during, and after the round. 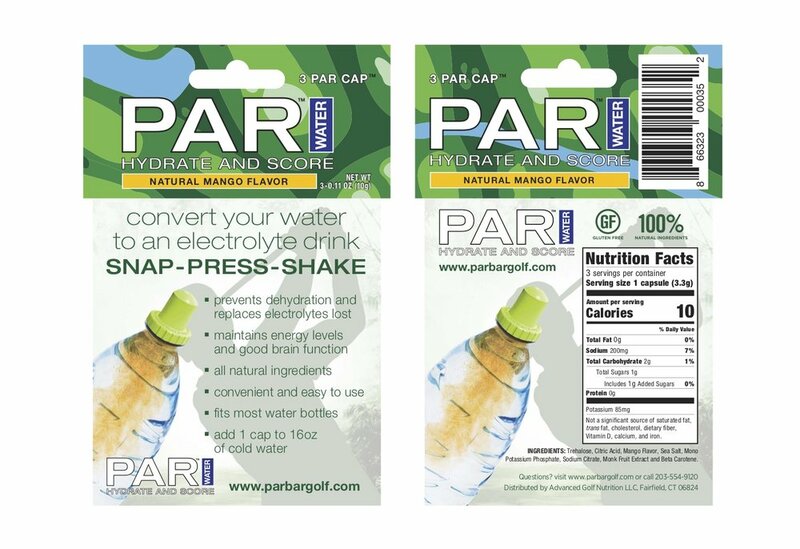 PAR WATER is as easy to use as Snap Press Shake. It’s convenient, no mess, and all natural.